Game Time- The purpose of this segment is to have FUN! Individual and team competition takes place through circle games exclusive to Awana, various group games, and playground favorites. Handbook Time: During this time kids work one-on-one with trained leaders to complete assignments in an age-appropriate Awana handbook. A series of awards and trophies reward achievements at every level as the kids progress. Council Time: Here individual clubs gather together for announcements, award distributions and, most importantly, a practical Bible lesson. For over 60 years Awana has been a leader in children’s ministry, helping churches and parents worldwide raise youth to know, love and serve Christ. Based in the Chicago area, AWANA is the only organization with actively involved parents, church leaders and mentors. Each week, more than 1.5 million children and youth, 300,000 volunteers and 170 plus field staff take part in Awana in over 25,000 churches in the US and internationally. Awana works with churches from 100 different denominations. It began as a children’s program at the North Side Gospel Center in Chicago in 1941. ...to develop weekly clubs that would appeal to churched and non-churched kids, lead them to trust Christ for salvation and grow them in enduring faith and service to God. Today more than 12,000 US churches run Awana with programs in all 50 states. 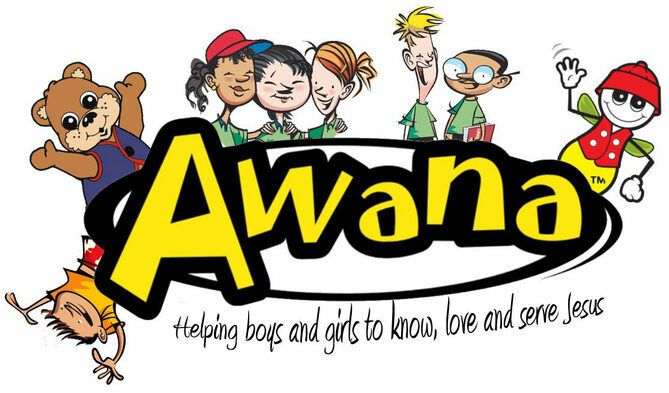 Awana can also be found in nearly 13,000 churches, schools and orphanages in 100 0ther countries. In the December 1, 2008 article, “American teens lie, steal, cheat at ‘alarming rate’”, experts revealed the sobering statistics from a recent, independent survey of over 30,000 high school students from across the Unites States. An overwhelming majority, 83%, of public school and private religious school students admitted to lying to their parents about something significant, compared to 78% for those attending independent non-religious schools. When asked about cheating on exams, students from non-religious independent schools had the lowest cheating rate, 47%, compared to 63% of students attending religious schools. Statistics show that even children who grow up in Christian homes, go to church on a regular basis, and participate in youth group activities are abandoning their faith at an alarming rate. How do we raise children whose character and values are built upon an unchangeable faith that endures for a life time? * Over half of all church-going teens abandon their faith after high school. * As few as one in 10 possesses a biblical view of God and the world. * Bible knowledge among college students has plummeted to all-time lows. * The majority of children from Christian homes leave the church by age 19. Unfortunately, these are more than mere statistics. They represent millions of young people around the country. The Awana program has always been the bench mark for how to effectively reach and disciple children with the Gospel. A recent independent survey of alumni who participated in Awana as youth for 6 to 10 years. Our adult alumni were asked the same questions posed in a 2005 Baylor University survey that measured the beliefs and behaviors of churchgoers and the general US population. Results of Awana and Baylor surveys showed a stark difference between the spiritual beliefs and practices of our alumni and the rest of America. Our alumni were found to be more devoted to God, His Word and their local church than even the nation’s most committed churchgoers.